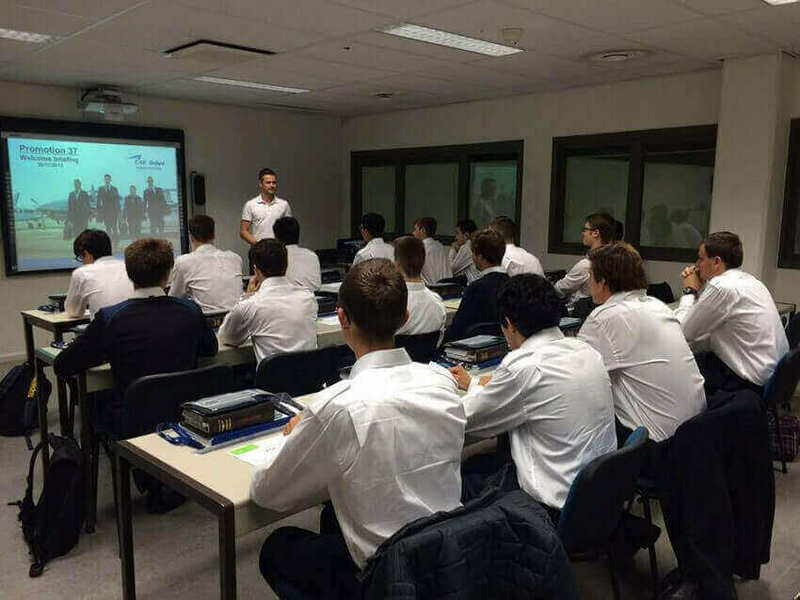 On November 23, 2015, I started my flight training together with 17 other students. After 565 days of hard work, but also pure enjoyment, I graduated on June 9th, 2017. What an amazing experience! I would like to take this opportunity to look back over the past year and a half. The first day of our flight training! Full of expectations and good courage we began the theoretical part of the program. We would have to work hard but were full of confidence, which was not that hard with such a nice group of people! To me personally, the theory was the hardest part of the program. As I have often said before, it always comes down to a lot of work and very little time. From 8:20 to 17:10 sitting behind the school books and then another 3 to 5 hours of studying at home. A big adjustment for all of us. The theoretical training was divided into two different phases. Phase 1 consisted of Meteorology, Principles of Flight, Electrics, Airframes and Systems, Human Performance and Limitations, Instruments and Communication. During phase 2 we discussed Performance, General Navigation, Radio Navigation, Flight Planning, Air Law, Engines and Operational Procedures. A sturdy portion of study material! Both phases were followed by a series of internal exams, the so-called School Finals. As soon as they were successfully completed, we were able to participate in the official EASA exams. The theoretical phase required planning, perseverance and also good fellow students. Our promotion soon became a fairly close group with good communication. We always tried to help each other as good as we could. After about 7 months of non-stop studying, everyone finally received good news. We could all leave for Phoenix, Arizona in the United States! Time for the real work. After a quick farewell from friends and family, I left on July 14 with seven others to the USA. Almost 15 hours after departure we arrived at our final destination: Stone Canyon. Here we would stay for 6 months until we obtained our Commercial Pilot License. Flying in sunny Arizona was simply incredible. Everything went very fast and after just short of a month, I flew the Piper Archer for the first time solo! We learned to maneuver, navigate and fly solo through the Valley of the Sun. Keeping in touch with friends and family wasn't always easy. In addition, I had never been so far away from home, and that was a bit of a hassle. The big distance was bridged through Facebook and Skype, but the time difference of 8 hours was obviously also something to take into account. I also celebrated my 19th birthday in the US. That's why I decided to organize my own birthday flight: the qualifier! A navigational flight of 800 miles through the whole valley. It was something different than a flight around the local church! Throughout my training in Arizona, I had to pass four Progress Tests. The first test consisted of circuits and different landings and was followed by the first solo flight. The second was a navigation flight with some simulated emergencies, and the third was mostly maneuvers. The fourth and final test then included the basics of instrument flying. As soon as I passed the fourth Progress Test, I had to switch to the Piper Seminole. My first experience with a twin-engine airplane! After 4 months and 3 days, I completed my CPL Skill Test. Two months earlier than planned! The good weather, the planning and the flexible instructors made everything go faster than anticipated. My last three days in the US I spent in the cockpit of the Extra 300L, an extraordinary aircraft. We learned to deal with unusual attitudes and on top of that, it was simply a sublime experience. Again something to forget! On November 19th it was time for the flight to my favorite destination: home. After four months and with a big smile on my face, I returned to Brussels. The heartwarming welcome by my parents and sister made me feel better. Finally home! In the afternoon, I visited my girlfriend who wasn't aware of my early return. A happy reunite it was for sure! Together with friends and family, I celebrated the holidays, something I had looked forward to. I began 2017 with my departure to Oxford, UK. Time for a new chapter! We would fly around in the Piper Seneca V for about 3 months, a perfect airplane for the Instrument Rating. Again a new environment and a lot of unknown faces, but that makes the whole experience all the more interesting. We can certainly call our training an international one! Not long after our arrival we officially received our two golden stripes and the CPL certificate. A nice moment for all of us! Everything suddenly felt a lot more serious. During our training for the Instrument Rating, we experienced a lot of special moments. Cloud surfing, sunrise and sunset over the clouds and many beautiful views all made up for it. Flying is not something you do. It's something you experience! Throughout the training in Oxford, the weather was often not on our side. Many flights were canceled because of the bad weather, but that's part of it. Fortunately, my instructor did everything possible to train me as good as possible and at a fast pace. On April 4th it was time for the IR Skill Test. I flew to Bournemouth in the south of the UK and once back on the ground I received good news: "Congratulations, you passed the exam." Time to pack and go home for the last part of the training! It is and remains crazy to believe that I have had the opportunity to do all this. The final part of our flight training: the Multi Crew Co-operation and Jet Orientation Course! We learned a lot about co-operating in the cockpit and flying jets. The MCC/JOC was undoubtedly one of the most rewarding parts of the program. After some online lessons and briefings about CRM (Crew Resource Management) and SOPs (Standard Operating Procedures), we first went into the MFTD (Maintenance and Flight Training Device). Here we learned how to handle the many new systems and we practiced our procedures. After three sessions, it was time to go to the big toys, the Boeing 737 Full Flight Simulator! We learned a lot about the 737 and how we can work together efficiently in the cockpit. Therefore, it always felt very good when I could bring a flight to a good end together with a classmate. Very experienced instructors, professional teaching materials and the best simulators in the world. There is absolutely no doubt about the quality of the MC /JOC. We have all enjoyed it! On June 9th, 2017, I finally went to the simulator with one of my fellow students. We had some healthy stress and decided to enjoy the flight as much as possible. It would be one of the last flights before we graduate! After 4 hours in the simulator, we received good news. We passed the evaluation and therefore also graduated as a pilot! A day to never forget. On Monday and Tuesday, we received application counseling at school. We learned more about compiling CVs and cover letters, how to prepare for interviews and so on. Helpful afternoons that will undoubtedly soon prove their value. I graduated, but the adventure is not over yet! We now need to focus on preparing the interviews and finding a job. 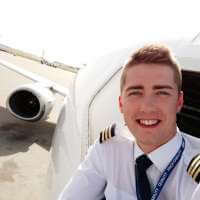 It seems that the demand for pilots is rising and we like to see that! Now I'll dive into the books again and hopefully, I can soon bring you good news. My goal has not yet been achieved, but the end of this blog is a fact. Therefore, I would like to thank you all for reading the blog and supporting me throughout the entire journey. Thank you a thousand times! Thank you, mom and dad, for believing in me and giving me this opportunity. Without you, this would have never happened and I would never have be where I stand now. Thank you so much for the support, the nice notes and to always be there for me. Thank you, Ellen, for being such a great girlfriend and never giving up on me. The blog about the pilot training is finished, this was the last part of Road to The Right Seat. Now it's time to go look for a job. Soon I will give you more news about the search and the road to my first job as a pilot!